Impressive levels of grip. Good to drive. Efficient diesel model. Quality cabin with excellent 'Virtual Cockpit' as standard. Still not a sports car. Jittery ride over broken British backroads. Numerous reports of water from roof unable to drain, filling battery tray and fusing MMI system. 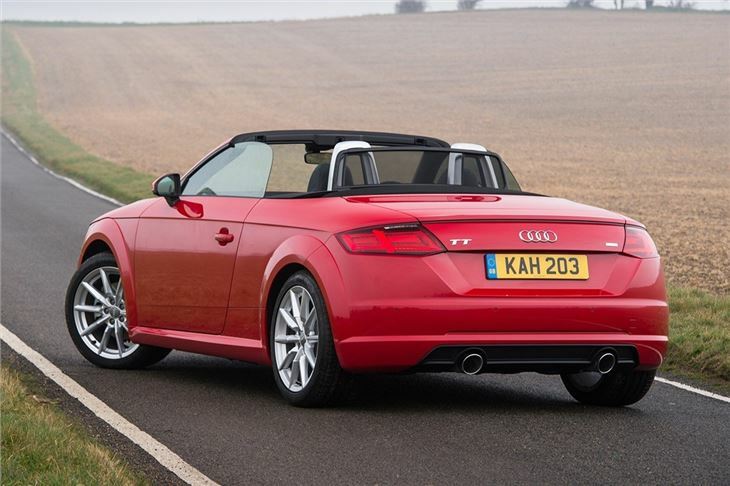 Open-top motoring is part of the Audi TT’s DNA. The original 1998 car appeared as a concept in both coupe and roadster forms before production started, so a soft-top variant of the third generation model was something of an inevitability. No doubt it will be as popular as its predecessors. And it deserves to be popular. The latest TT Roadster is every bit as good to drive as the coupe model, with masses of grip and impressive body control. It also shares its fantastic cabin with the coupe, complete with the high-tech virtual cockpit instrument binnacle. This is a large digital display incorporating navigation, speedo, rev counter and connectivity. 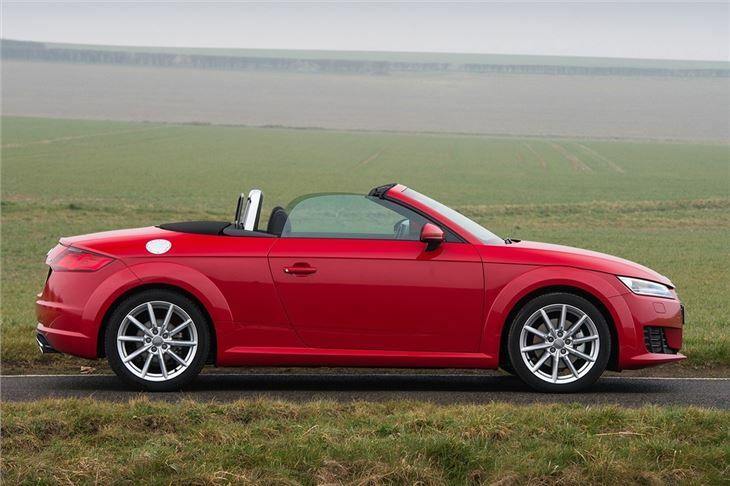 The party-piece of the TT Roadster is, of course, the folding fabric roof. It can be operated at speeds up to 30mph and takes 10 seconds. 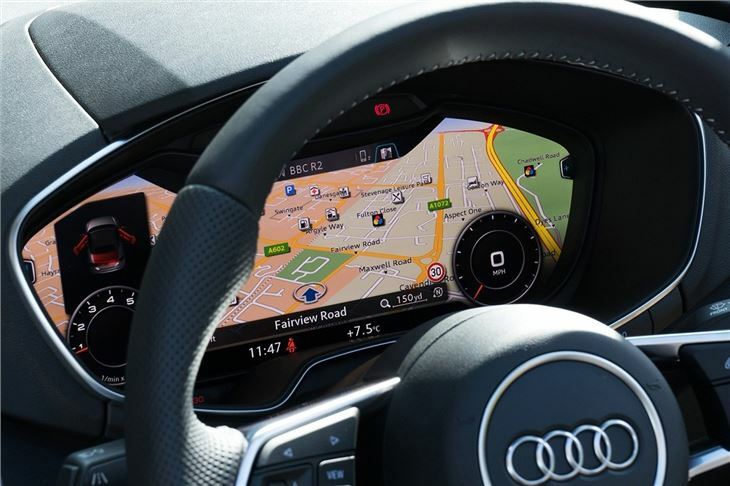 Audi elected not to install a multi-piece metal roof in order to keep the proportions correct and the weight down – which means less to go wrong, but poorer security when parked up. Refinement with the roof down is good even at high speeds, with little in the way of buffeting thanks in part to an optional retractable wind break that keeps turbulence from forming behind the seats. For those cool but dry days buyers can specify a pack that includes heated seats and ventilation that blows warm air on the your neck. The folding roof does mean there are no rear seats in the TT Roadster, but the rear seats in the coupe are so small you can barely use them anyway. There is also an impact on the boot, which at 280 litres is okay for shopping or a weekend away, but is too shallow for anything particularly bulky. The engine range is the same as the coupe, with a 184PS 2.0 TDI and a 230PS petrol forming the mainstay with a 310PS TTS quattro petrol at the top of the range. The petrol engines suit that TT Roadster best thanks to a great exhaust note and linear, strong power delivery. 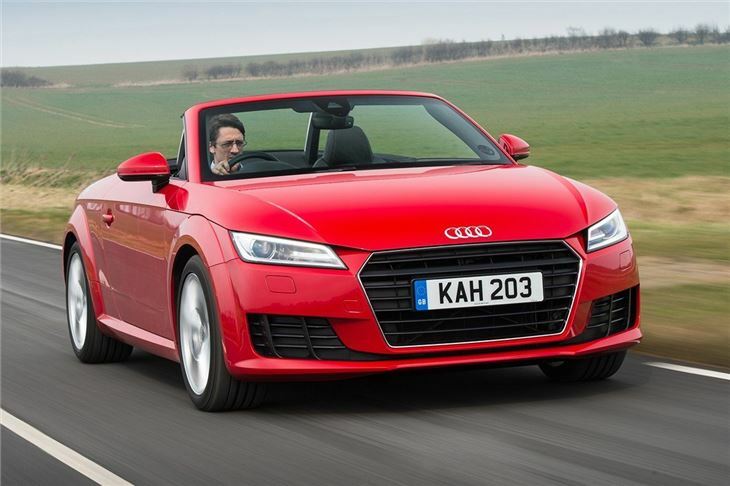 The diesel is fine too, but with the roof down it lacks the aural drama of the petrol models. 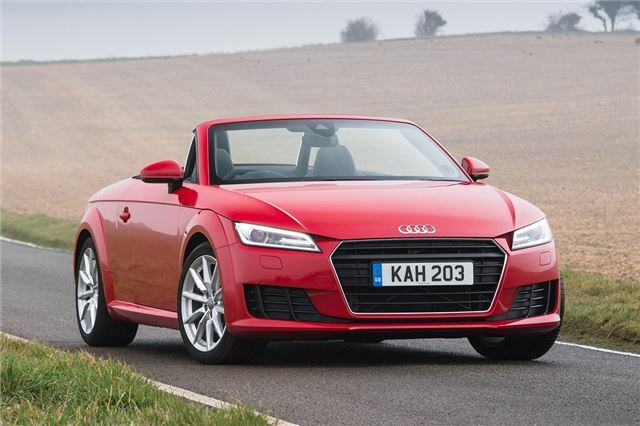 The TT isn’t quite as exciting to drive as the more expensive Porsche Boxster and it can get a bit jittery on poor roads, but it is still a tremendously impressive car. It is solidly made, good to drive and features plenty of neat, high-tech features. For those seeking a premium soft top it ticks all the right boxes.